It’s Follow-Up Friday: Rubik’s Explosion edition! 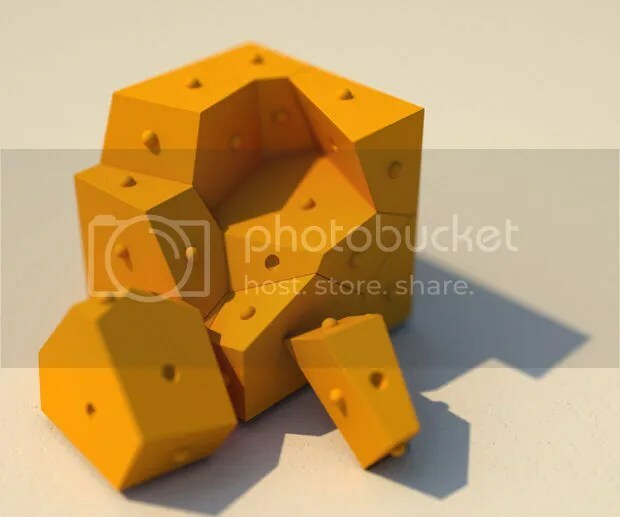 And I’d like to return to the subject of twisty puzzles. I’ve written before about the 3-D printing revolution and its effect on puzzling; now creators can customize puzzles like never before, designing mind-blowing puzzles and games unlike anything you’ve seen before. And twisty puzzles like the Rubik’s Cube are a favorite of many 3-D puzzle designers. 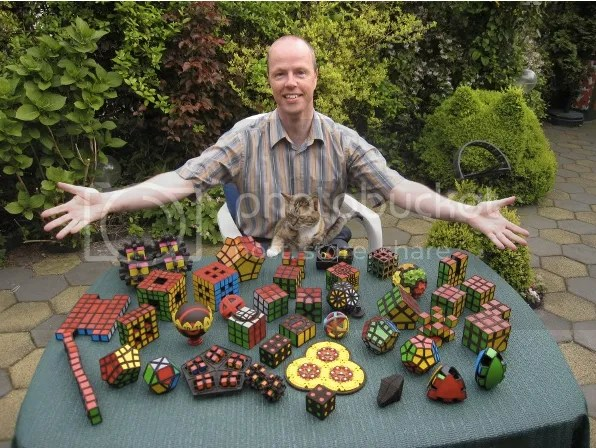 You may remember last year when I wrote about the world’s largest Rubik’s-style puzzle, a 17x17x17 twisty puzzle known as the “Over the Top” Rubik’s Cube, created by Oskar van Deventer. Well, Oskar’s masterpiece has been one-upped by the folks at Coren Puzzle, who have created a 22x22x22 Rubik’s-style cube! And here I sit, having never solved an actual Rubik’s Cube. This one might be a bit too much for me. 3-D printing is the next big technological leap forward, and although the technology is only a few years old, it’s already responsible for some amazing advances. 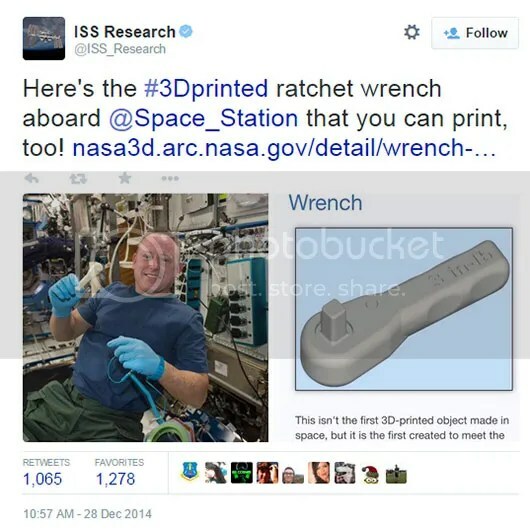 You may have seen the story in the news recently that NASA “emailed” a new wrench to the International Space Station. For the first time, plans originating on Earth were sent electronically to the ISS and built in a 3-D printer, giving an astronaut the specific tool he needed while saving literally thousands upon thousands of dollars. That’s mind-blowing. Every day, new stories are emerging from the medical field about the benefits of 3-D printing. A close friend of mine recently had brain surgery, and they used a 3-D printer to manufacture a new piece of skull specifically for her. That is a phenomenal thing. And puzzles aren’t immune to the march of progress. Enterprising designers are creating new puzzles with increasing complexity, allowing them to build on existing models and add previously impossible variations and details into their designs. I’ve previously featured the specialized twenty-sided die created by the folks at 64 Oz. 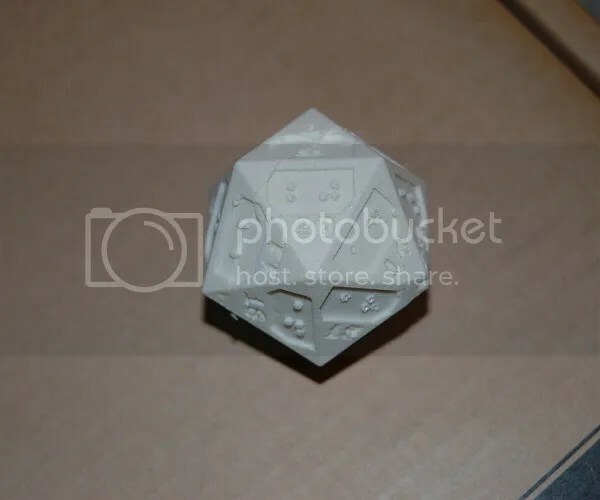 Games, which were made with 3-D printers and feature braille renderings beneath every number. One of the fastest growing fields in 3-D printed puzzles is known colloquially as the twisty puzzle, the numerous variations, expansions, and extrapolations from the Rubik’s Cube twisting/turning style of puzzles. Check out this article about George Miller and Oskar van Deventer, who are pushing the envelope of twisty puzzles with some ingenious designs. 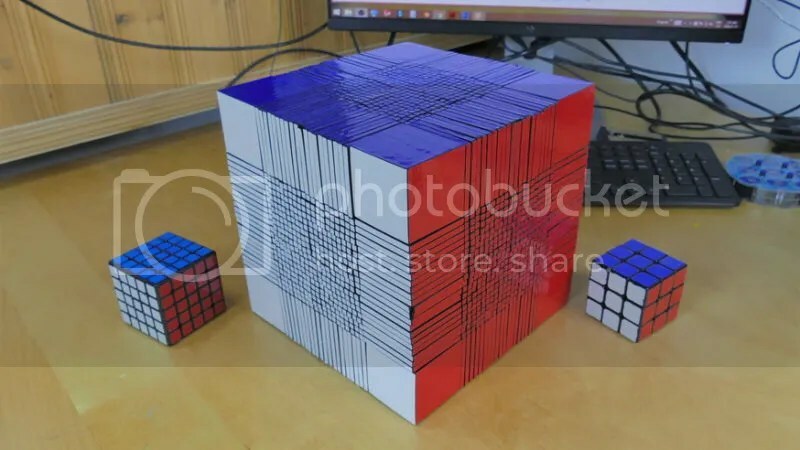 Meticulously designed and realized through 3-D printing, these puzzles have set world records — one is a 17x17x17 Rubik’s Cube with over 1,500 parts! — and taken twisty puzzles to unexpected places. As 3-D printers become more affordable and more puzzlers embrace the technology, there’s no telling where puzzles will go next. But I cannot wait to find out.